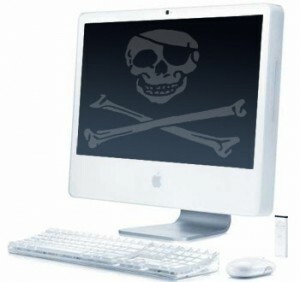 The UK government has admitted that it cannot implement legislation to curb Internet piracy until spring 2012 at the earliest, as it prepares for a legal battle in the High Court. The already-delayed Digital Economy Act (DEA) will be challenged by BT and TalkTalk this week in a judicial review. The two companies aim to block the new rights enforcement regime that would force them to police broadband access to customers accused of unlawful downloading. The Act, passed in the final days of the last Parliament, had been due to come into force in January. But as well as this week’s judicial review, it has been held up by a series of regulatory hurdles. Under the DEA, film and music groups will collect data about downloaders, which broadband providers will be forced to match against their customer databases. They will write to those accused to warn them they are infringing copyright. If this “mass notification system” does not curb unlawful downloading by 70 per cent in a year, further provisions of the Act will be triggered which mean those who have ignored the warnings will have their Internet access slowed or even temporarily suspended. A spokesman for the Department of Culture, Media and Sport said: “Since the DEA passed into law there has been a considerable amount of work to do to implement the mass notification system.” The Government had not realised it needed EU approval for the Act’s cost-sharing arrangements, which will put 75 per cent of the burden on copyright holders and 25 per cent on broadband providers. It has now obtained that approval, however. “Secondary legislation setting out how the system will be paid for and how it will work has to be passed by Parliament. Ofcom also has to set up an appeals process,” the DCMS spokesman added.